This small river is called Black Water, although I have no idea why as the water is clearly not black. 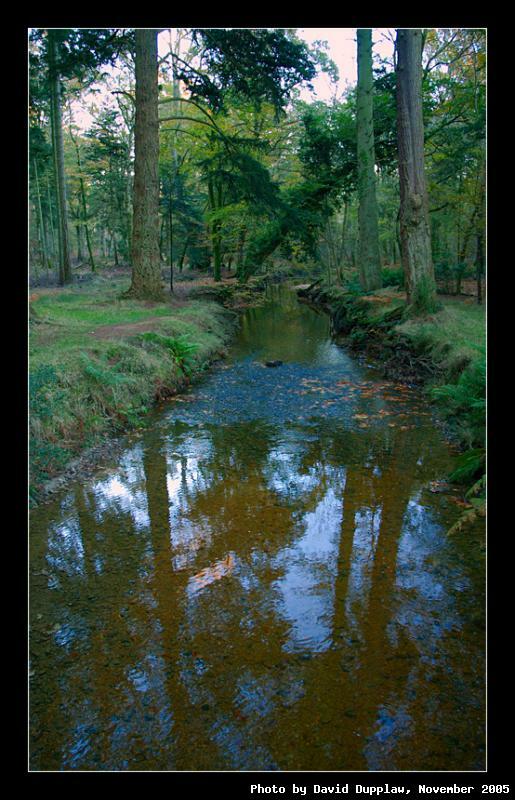 It runs underneath the Rhinefield Ornamental Drive in the New Forest, very close to Black Water Arboretum. I found it so picture postcard-like that I went all out and added a border.